HOW LONG WILL A ST LOUIS BANKRUPTCY STAY ON MY CREDIT REPORT? A St. Louis bankruptcy will stay on your credit report for ten years. This change was made in 2005 by the United States Congress. However, most people mistakenly believe that this in turn means that you will not be able to incur new debt until that period of time lapses. This is incorrect. The bankruptcy court and the federal government describe a St. Louis bankruptcy as a “fresh start / clean slate”. It is a chance to wipe the slate clean so that you can move forward with life. It is a chance to regain your financial freedom by getting rid of all your unsecured debts. Once the debts are knocked out, your credit score will start to improve dramatically. On average, most people can expect to see a one hundred (100) point bump upwards in their score within the first twelve to eighteen months after filing. As a result, dealing with new creditors in the future will be a much more pleasant experience. Things like financing a new car, or securing a mortgage on a new home, or even getting new credit cards, will be very doable. And as you begin to rebuild, your credit score will only improve more. An expert St. Louis bankruptcy attorney can help guide you through this process. 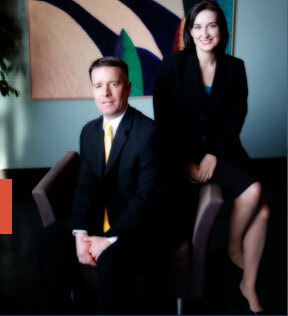 At Brinkman & Alter, LLC, we have been assisting people for over ten (10) years. Our goal is to make sure that your debt gets knocked out, that your assets are kept safe, and that you are put back on the road towards financial freedom. A St. Louis bankruptcy will also stop things like a wage garnishment, bank levy, lawsuits filed by your creditors, and all collection activity (from nasty letters to harassing phone calls). But the main idea is get your financial health back to normal.